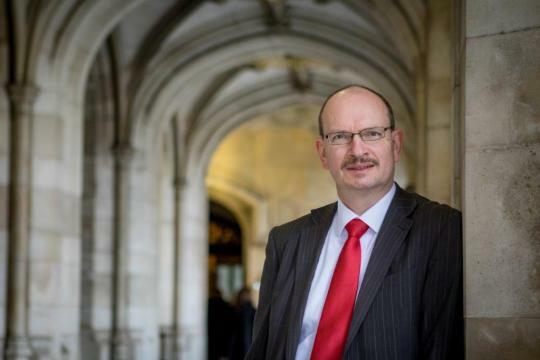 On Tuesday, MPs vote on the Withdrawal Agreement that the Prime Minister has agreed with Europe, writes Ipswich MP, Sandy Martin. The Withdrawal Agreement is not a trade deal, or a set of principles on which a trade deal can be based, or a statement of the relationships we will have with the EU. It doesn’t answer most questions, but it makes it clear that we will not have a fully-functioning single market – which is bad for British jobs – and still shackles us to the European Court of Justice – which is bad for those people who want us to be governed solely by our own laws. The Prime Minister has succeeded in uniting the country in contempt for her “deal”. I have listened to the Prime Minister, the Leader of the Opposition, the Shadow Brexit Secretary Kier Starmer, the Home Secretary, the Foreign Secretary, and numerous other MPs explain why they will or will not be supporting this “deal”. I have not heard a single convincing reason for supporting the Withdrawal Agreement and I shall not do so. I voted to Remain in the European Economic Community in 1975. The result in 1975 was very clear – an overwhelming vote for this country to stay in the EEC. And given the economic circumstances I am not at all surprised. The 6 original nations of the EEC had growing economies, flourishing trade and bright futures. The UK had just come out of the 3-day week. If anyone had seriously suggested in 1975 that 43 years later the UK would be the 5th largest economy in the world, do you think they would have been believed? So how can people say with one breath that this country is flourishing and that we should tear up a major part of the economic framework which has put us in this position? I want to focus on the future, on the future of young people in Ipswich today, and on the effect that this so-called deal is likely to have on them. Firstly, the Government’s own economic analysis shows Brexit on this deal costing us around 3.9% of our GDP – dwarfing the current level of contributions to the EU. I cannot in all conscience vote for any deal which leaves my constituents worse off. Secondly, without a strong single market our service industries will be stymied. It is in financial services, in insurance, in software design and creative industries that the future lies for our young people. We run the very real risk that our market for those new industries will be chopped down just as it starts to bear fruit. And thirdly, this deal provides no guarantee that the UK will continue with key EU programmes, including educational, scientific and other research programmes. Ipswich has one of the fastest-growing economies in the UK. I have very high hopes for the growth of software development as one of the major parts of the Ipswich economy. That is put at risk by any block either to our ability to sell knowledge-based products or to the free movement of those engaged in research or in the knowledge economy. We all need young people in the UK to be able to share and learn from each other across Europe, otherwise what knowledge-based economy are we going to have? Where is the money going to come from to support us in our old age? We can’t all live on dividends from off-shore investments. I believe that if the British people had been aware in June 2016 of what they know now, the result of the referendum would have been different. I believe that if we had a General Election now, it is still possible for an incoming government, focussed on the future prosperity of our country, to produce a withdrawal agreement which would be less damaging to our economy and acceptable to the EU. But if, as I suspect, that option is not available to us then let us ask the people directly, including those who were too young to vote last time, because they are the residents who will have to live the longest with the consequences.